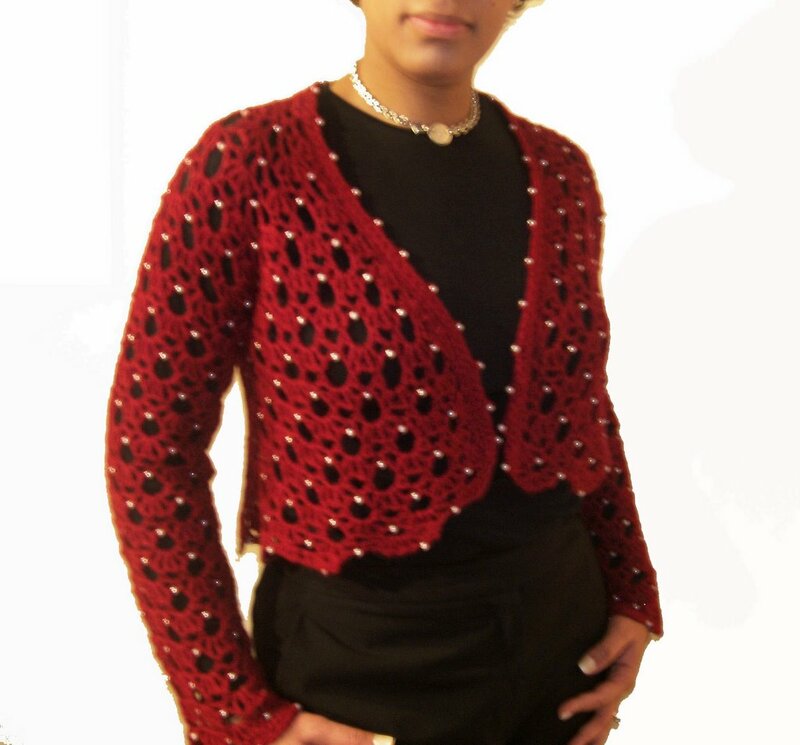 This is the Lion Brand Romantic Bolero. The pattern suggested Lion Brand Glitterspun which is around $8.99 per skein for 115 yds. Not that I'm cheap, I just like what I like and I'm not a fan of "novelty" yarns. If I want to pay that, I'll get something great that feels wonderful against the skin. So, I decided to go with Cascade 220 - $7.00 (Yeah!). I thought this would be a difficult project because of the beads but it wasn't at all. 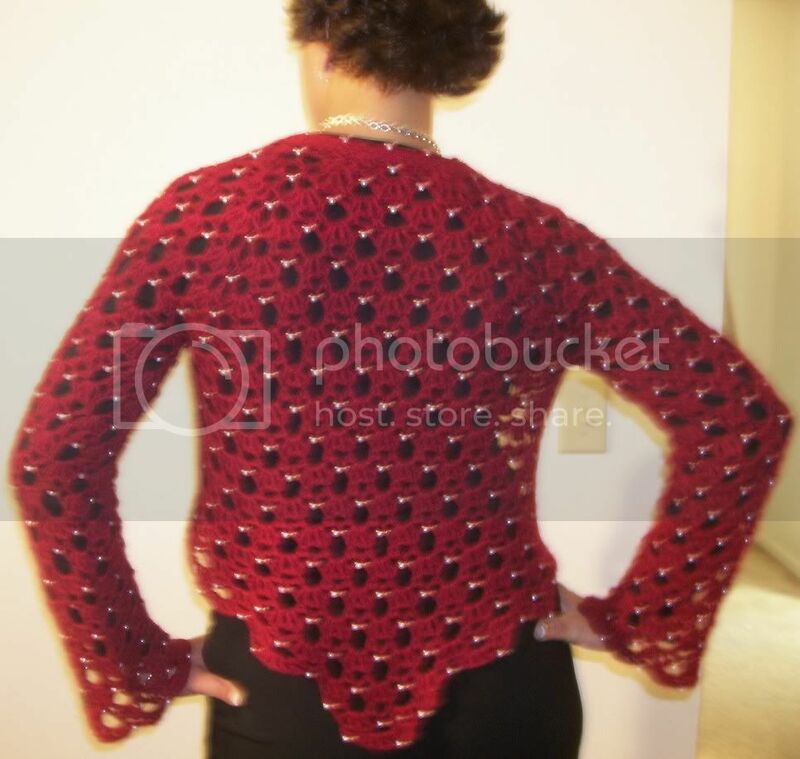 For long sleeves, the directions stated to continue in pattern until row 25. Tried on, still 3/4 length. Had to take the sleeves to row 33. I omitted the buttons, I didn't feel the need for them. For the edging around the front and neck, I did 3 rows of single crochet. On the third row, I decided to add more beads in a picot stitch. Wore it out today when I went to my LYS and the ladies really liked it. They told me I should start teaching crochet in there. That's a thought I will consider! Can't they tell the difference?